This submission was made by a CPS counselor/case manager, working in a school that received students from the massive 2013 school closings. With the demands of a caseload of 150 students as well as my duty as the school counselor, my time in the school day is limited. I am inundated with paperwork, IEP meetings, counseling students, and attending to requests from the district, teachers, administration, parents, and students daily. Furthermore, this year, we had up to 10 students who received medication throughout the day. Some of these students received dosages of a half-pill given at various times during the day. It is my job to distribute this medication to the students and ensure that the medication is administered by marking it in a notebook. We only have a nurse here for one day and a half each week. My other job duties were constantly interrupted to administer medication. I also had, at times, to use a pill cutter to cut pills. 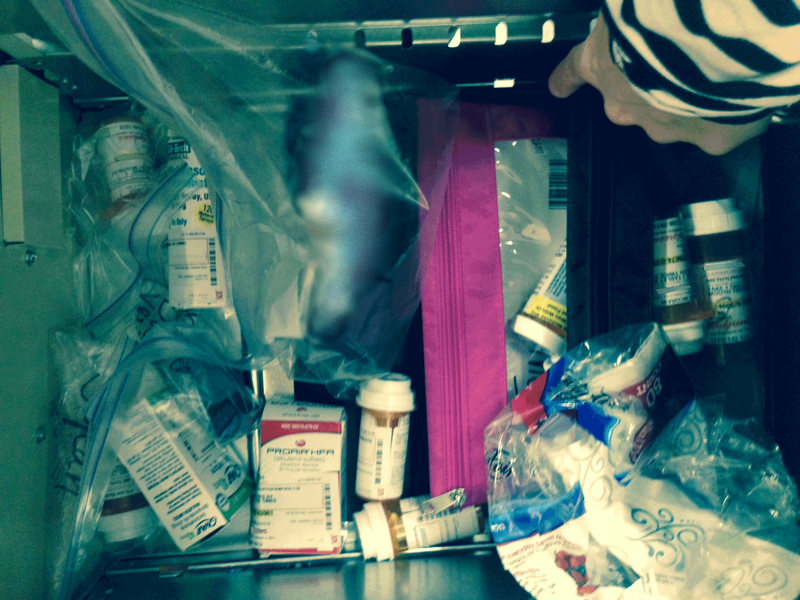 Medication we store in the drawer is considered a controlled substance. It was always a concern of mine that if someone got a hold of the key (in a closet), it could be sold on the street or inadvertently administered and there would be a liability. Not only was being interrupted constantly throughout the day a huge inconvenience (this included halting meetings with parents when discussing disabilities, interrupting group sessions I facilitate as counselor to give out meds), but this task made me extremely uncomfortable. I am not a trained medical professional. In my own stress of the job, there were a few times I caught myself almost giving out the wrong medication to a child. Our school needs a nurse at the school daily to attend to these medications, but also to all of the other medical emergencies that come into my office such as ringworm, lice, rashes, pink eye, broken bones and daily fevers, stomach aches and asthma attacks, for example. My second concern is with the Students in Temporary Living Situations (STLS) program (this program serves homeless students). I am in charge of the STLS program at our school, where over 100 students participate. Over 100 students and their parents receive CTA fare every week to get to and from school. Every Monday afternoon, there is a long line of parents in the gym so that the parents can sign-out their bus cards. The amount of time I spend counting cards, worrying if the cards will arrive on time, traveling to downtown office (and paying for parking) if they haven’t been sent out on time, taking inventory, enrolling families, and distributing these cards is a waste of CPS resources and particularly a waste of my time that otherwise could be used to support the needs of our students in the building. The above account is just one example of the lack of importance CPS places on the health of students and the needs of students without permanent housing.